Welcome to Day 991 of our Wisdom-Trek, and thank you for joining me. Thank you for joining us for our five days per week wisdom and legacy building podcast. We are broadcasting from our studio at The Big House in Marietta, Ohio. Today is Day 991 of our trek, and it is Wisdom Wednesday. 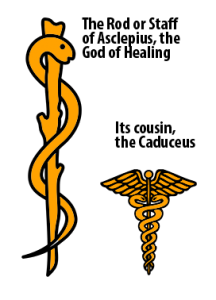 Just like the modern day medical symbol with snakes wrapped around the pole, both Greek Mythology and Old Testament references are tied to this symbol. 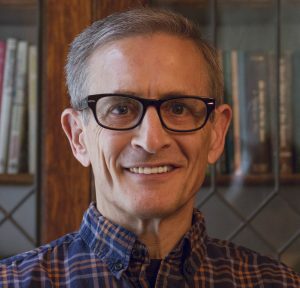 John [3:15] presents no problem; it declares the gospel—that Jesus, the “Son of Man” in this passage, is the true object of faith for all who would have eternal life. The difficulty lies in verse 14, where Jesus compares His destiny on the cross to a serpent “lifted up” in the wilderness. In this analogy, Jesus draws on Numbers 21:4-9, one of many incidents in which the Israelites complained about their circumstances on their journey to the Promised Land. God punished their impatience and lack of faith by sending venomous “poisonous snakes” into the camp. After many fatalities, the people begged Moses to intercede with God on their behalf. 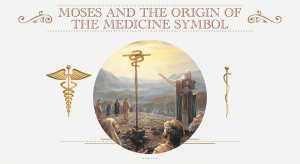 God relented and instructed Moses to make a bronze serpent and set it on a pole. Anyone bitten by a serpent would be healed by gazing at the bronze serpent. 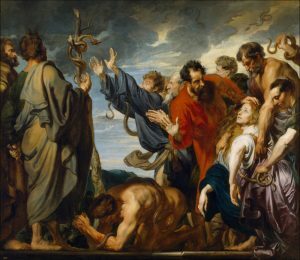 We might incorrectly link the serpent on the pole in Numbers 21 and the serpent found in the Garden of Eden (Genesis 3), but the only similarity between these two passages is the word “serpent,” Hebrew word nachash. The nachash of Genesis 3 is a figure acting independently of—and in opposition to—the will of God. In Numbers 21 the biting serpents are God’s instrument of judgment for sin, and the nachash on the pole is God’s instrument of healing for those punished for sin. In part the answer to “why a serpent?” is found in the ancient practice of sympathetic magic, the idea that a person afflicted by an object can be cured or delivered by an image of that same object. In the absence of sophisticated medical knowledge, ancient cultures sought cures for physical ailments or perceived curses by such means. We can find several examples of this ancient medical approach in other places in the Old Testament. For example, the Philistines fashioned five golden objects that corresponded to an affliction Yahweh sent upon their cities (1 Samuel 6:5-18). Both Moses and Elisha purified drinking water by using elements that would otherwise taint it—wood in Exodus [15:25] and salt in 2 Kings [2:21]. Elisha received no instruction from God to proceed as he did, and so he apparently believed God would empower the gesture. In Numbers 21, God makes use of this familiar cultural idea to communicate an offer of divine deliverance to the Israelites. Aside from their association with healing, serpents were familiar symbols of protection. Consider ancient Egypt, where the snake is an ever-present symbol. The uraeus serpent on the crown of the pharaoh was thought to render him immune from harm and enable him to heal. Other serpent icons served as divine guardians. The confrontation between Moses and Pharaoh, in which the serpent of God devoured the Egyptians’ serpents, sent a powerful theological message about the superiority of Yahweh found in Exodus 7:8-13. Yahweh, not Pharaoh, had power over the natural and divine worlds and the authority to dispense or withhold judgment or mercy. He was truly God: Pharaoh was an amateur magician. Some of these messages are conveyed in both Numbers 21 and John [3:14]-15. First, Yahweh was not a God with which to trifle. He could punish faithlessness by commanding the forces of nature, sending poisonous snakes against the Israelites. He also had the power to reverse the effects, offering His divine healing through a bronze serpent. Healing came with one condition: the Israelites had to exercise faith in the offer. Jesus’ use of this test of the “obedience of faith” creates a fitting analog to His own destiny. Death, the natural world’s most consuming force, would be reversed for all who looked to Jesus, raised up on the pole of the cross, if only the afflicted would believe. That will conclude our essay for this week. 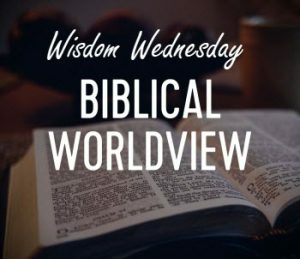 Next Wisdom Wednesday we will continue in the New Testament as we look at Dr. Heiser’s next essay titled “Who Took Verse 4 Out of My Bible?” I believe you will find this another interesting topic to consider as we build our Biblical worldview. 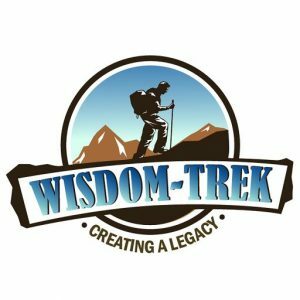 If you would like to listen to any of our past 990 treks or read the Wisdom Journal, they are available at Wisdom-Trek.com. I encourage you to subscribe to Apple Podcast or Google Play so that each day’s trek will be downloaded automatically.